Karen Butterfield is the founder of Flagstaff Arts & Leadership Academy (FALA). The journey to opening the school in grades 9-12 in August, 1996 stemmed from critical research, planning and opening partnership doors with the Museum of Northern Arizona (MNA), after having FALA’s initial application to the Flagstaff Unified School District (FUSD) rejected. 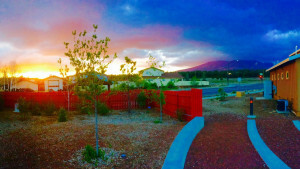 At the time, Karen was an art educator at Coconino High School, after serving as the district-wide art coordinator – having been with the district 21 years. The district-wide art coordinator position lasted one year, after FUSD lost an override, which led to the cutting of elementary art and music, and high school theatre, putting Karen back into the classroom (a great thing). After charter school legislation was passed in 1995 with the opening of 50 charter schools across the state, Karen started drafting her vision of FALA becoming initially, part of the FUSD umbrella, focusing on rigorous academics, the visual and performing arts and true service learning integrated throughout the curriculum. But that was not going to happen under FUSD at the time. Knowing there was strong interest from parents, students and the community to develop FALA, Karen then went before the State Board of Education with FALA’s charter application, which was unanimously approved in January, 1996. She and her new FALA governing board team had less than 6 months to find a site for the school. Through MNA board contacts, Karen and Ernie Butterfield were introduced to then, new MNA executive director, Mike Fox, at Brandy’s Restaurant off Cedar Avenue in February, 1996. Karen shared her vision of the school and how the partnership would be mutually beneficial in programming, sharing of facilities and more. Mike then shared his vision of always wanting to partner with a high school on the grounds of a museum he led. With that, he surprised us by rolling out the Museum’s blueprints (hidden under the table), and stated, “This museum sits on 400 acres of private land. Your school can go here – here – or – here.” FALA’s match with MNA was born, after the Museum’s international board of trustees approved the partnership agreement. We were off and running, and immediately was noted as the first public charter school in the nation to partner with a major museum. The intergenerational partnership with FALA, MNA and the Peaks Senior Living Community brought both institutions state, national and international recognition, including having been recognized by President Clinton, Vice President Al Gore and The White House, the Arizona and US Departments of Education, and the international museum community – to name a few. FALA was also the first public school to receive the Arizona Governor’s Arts in Education Award (The Honorable Governor Jane Hull). Beginning in 1996 on the first day of school, and each year after, we held the Native American Friendship Dance, a tradition led by the Benally-Jones Family, with all FALA and MNA staff participating. Developing and opening FALA was the hardest, yet most rewarding, professional accomplishment of Karen’s career. She remains in touch with many of FALA’s current and former teachers, students and parents, and enjoys the invitations to special FALA ceremonies and events. FALA remains to this day, a very special place of teaching and learning for its students and dedicated staff. Karen is currently providing technical assistance and support to our region’s four southwestern state departments of education (AZ, CO, UT, NV) with the West Comprehensive Center (WCC) and Policy Center at WestEd. Her prior educational policy background also includes providing technical assistance to nine states on educator effectiveness issues on the Council of Chief State School Officers (CCSSO’s) Education Workforce team. Karen also served as associate superintendent overseeing Academic Achievement and the Highly Effective Teachers & Leaders Divisions for 10 years at the Arizona Department of Education between 2003-2013. 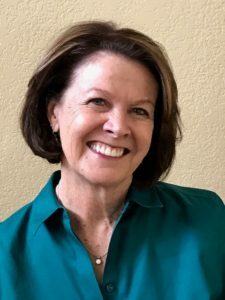 Karen earned her bachelor’s, master’s and doctoral degrees (educational leadership) from Northern Arizona University, graduating with distinction, including having been the recipient of an honorary doctorate. She has been recognized numerous times for her work in education, including having been named the 1993 Arizona Teacher of the Year, the National Art Education Association’s Outstanding Teacher in the Southwest Region twice, N.A.U.’s Outstanding Doctoral Student, the Governor’s Arts in Education Award (Flagstaff Arts & Leadership Academy), the Flinn Foundation’s Most Influential Educator (twice by former FALA students Jacob Stevens and Ashley Davidson), including many other awards/recognitions. Karen is married to Ernie Butterfield, who was by her side every step of the way with the development and opening of FALA. They have two beautiful daughters, Amanda (a physical therapist in San Diego with husband, Chris DeRosa) and Katie (a 5th grade teacher in FUSD, and married to husband Robb Krause). Karen and Ernie are also the proud grandparents of Braxton and Brinley DeRosa and Sadie Krause.